This time we talked with Angam Parashar, one of the ​Co-Founders of ParallelDots. How we got acquainted with him is a longer story, but the short version is that he pinged us in Twitter to let us know that he’s part of a team that is using Fleep. That was all we needed to know to make sure they get a say in our blog! With so much of content being created, internet users have started facing the problem of Information Overload. Similarly, content creators are clueless when it comes to using their old content. They end-up losing their online readers to Google or Wiki even when they have all the information. ParallelDots, funded by Times Internet, is a startup of IIT Kharagpur and BITS Pilani graduates. We allow any content archive to be presented in a story using advanced techniques of natural language programming (NLP) and machine learning. For publishers and bloggers, it automatically creates timeline of any event using their archive and present it in an interactive, intuitive and easy-to-navigate interface on their webpage. This helps publishers generate extra views on those articles which lie dormant in the archives, and increase the user-engagement on their portal; and for their readers it becomes a tool to know the background of any event in seconds rather than spending hours on Google/Wiki. We are a small team of three co-founders. Let me to briefly introduce three of us. I am Angam. I play the role of hustler in the team. I graduated from IIT Kharagpur with majors in Mechanical. After graduation I worked as a management consultant at Opera Solutions for one and half years before taking the plunge in the startup ecosystem. Our other co-founder Ankit worked in a mining firm at Australia after his graduation from IIT Kharagpur. Being the head of the Entrepreneurship Cell at IIT, he got smitten by the startup bug which prompted him to quit his job and start on his own. He is a self-taught programmer and serves as a bridge between technology and business. Muktabh, who is also our co-founder, has a degree in Information Systems from BITS, Pilani. He has 2+ years of experience in solving Data Mining and Natural Language Processing based automation problems. He is passionate about technology trends and tools, especially big data advancements. We also have couple of great interns in our team who are always ready to take any problem heads on. Easy question (laughs). In my experience, Fleep works best for startups. It’s perfect for them. It’s like WhatsApp for startups with a native feel. We use it for our day-to-day communication, sending files, pinning messages, and also while having fun. The best part about it is the fact that it’s cross-platform. We use it on iOS, Android, Windows, and Mac. We have created multiple groups considering the functioning of the group making it easier for us to categorize our talks. Our tech team has stopped using emails because of Fleep as they find it thousand times more efficient. If you are a startup, there’s nothing more efficient then Fleep for your team to communicate within the team. Sending files, and pinning important messages have never been easier. 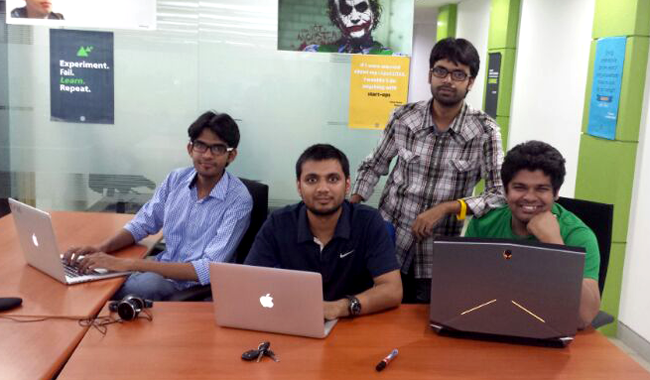 So much about ParallelDots, one of our first known startup Fleep users from India! But this is not the only story from our users, if you’d like to get more stories like this in the future as well, feel free to follow us on Twitter (#fleepstories) or Facebook and check out the rest of the stories.